As they say, a happy customer is the best reward one can get for a job well done. We pride ourselves with excellent customer service and high quality work. Here’s a few testimonials from some of our clients. Please go ahead and check out their websites, apps and services to see how they work in multiple languages. It has been great to start using Transfluent for some of our internationally renowned artists like Keane and John Newman. We've seen some encouraging early results in international non-English-speaking territories, where targeted Facebook posts in the local language have increased the amount of engagement to as much as twice what posts written in English had previously achieved. This is absolutely fantastic. I looked over recent Mars posts and the translations are going through--Our audience is incredibly excited to see the messages in their native tongue—exactly what we wanted: to communicate as clearly and deeply as possible. I can warmly recommend Transfluent’s translation service for Android applications. The translation service made the translation of Petsie’s category-specific apps possible, quickly and without complications, and as a result of translation we’ve gained a lot of new users around the world: Petsie applications have already been downloaded over 150,000 times! We have been very satisfied with Transfluent’s service. Transfluent has provided good and swift service, which is extremely important to a business like ours: we have received the required translations even on the same day. Transfluent’s crowdsourcing model of working enables a rapid and linguistically diverse translation service and a competitive price. Efficient and straightforward service: I’d recommend it! Inclusion.fi is developing a connected-learning platform for the global market. Transfluent makes high-quality translation of content so easy that we see it as a key asset in delivering locally relevant learning services to users of connected devices anywhere. Transfluent helps us in realizing our mission – to bring a smile to everyone’s face. Startup Sauna has been using Transfluent to reach its local partners in Northern Europe and Russia in their native languages. The feedback and goodwill we’ve managed to generate with this has amazed us! We were also able to pull off an event in Shanghai, China with Transfluent as it removed the communication barrier between our startup initiatives. Combined with their excellent and responsive customer service, we could not be happier to be Transfluent’s customer! As AppCampus was born to be Global with the applications flowing from over 80 countries all over the World, thus by having tweets translated to multiple languages by native speakers, Transfluent helps us immensely to reach out to numerous amount of people in their mother tongue. Thank you, Transfluent! 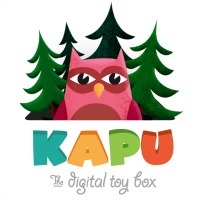 Kapu Toys is developing new kinds of mobile games for children. Transfluent has supplied us with comprehensive translation solutions which have helped us in production and marketing. Our co-operation with Transfluent has worked well; the service is quick and knowledgeable. Now, with the new API, updating new translation versions is even easier and more trouble-free. Thanks to Transfluent, we have been able to localize Kiosked for 14 languages and translate our Twitter communication. We have found that even if people understand English, they are more receptive to messages in their own language. Transfluent provides us with a fast, reliable and economic way to make the world feel at home with our products and marketing. 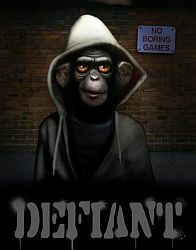 Transfluent’s user-friendly and economic service has enabled us to create multiple language versions of our game Rochard as well as localize its website. Because people prefer to play games in their mother tongue, Transfluent’s service has made Rochard significantly more appealing in many countries. Simplest and most automatic way to translate iOS apps. Highly recommended.